Studying science and the environment can help you be part of navigating some of the world's biggest issues. Within your degree you will learn to approach demands like the increasing need for energy, land, food and water. Those who study in the fields of science and the environment have an important role to play in the ongoing health of our world, and ultimately mankind itself. The future is bright for Australia’s graduate scientists. With the 2015 launch of the National Innovation and Science agenda, there is a national coordinated approach and investment in the industry. Matched with a global demand for science skills, degrees in this area create a launch-pad like no other. Why study science and the environment at UON? We are research leaders, ranking well above standard in 14 science disciplines and home to 2012 NSW Scientist of the Year Laureate Professor John Aitken. Learn through experience - all our degrees in this area incorporate practical training like fieldwork, lab work, and projects with industry partners. Connect with industry through practical placements at organisations such as Landcare, NSW National Parks and Wildlife Service or water and mining companies. Build international networks with cultural immersion tours, workshops, masterclasses or lectures at overseas universities. We understand that sometimes you don't know exactly which degree you'd like to pursue, especially in a discipline as diverse as science and the environment. You might, however, know which scientific field excites you. Use these areas of interest to narrow down your study options based on your interests and career goals. Biology is the science of life. Within a biology major you will study the structure, function, growth, origin, evolution and distribution of living organisms. Biology is an integral part of society due to our reliance on the natural world for our survival. The study of biological sciences spans a wide range of interests from genes to the environment. Chemical engineering graduates learn to apply their knowledge of the synthesis and processing of chemicals to convert raw material into useful products. Your degree will prepare you to help develop everyday products like toothpaste, beer, puff pastry, chocolate, lipstick, paracetamol and petrol. Chemical engineers work in fields such as energy production, biotechnology and pharmaceuticals. Almost everything you touch in the modern world will have a chemist’s input at some stage. Chemistry students study the manipulation of atoms and molecules for real-world applications and it plays a key role in virtually all sciences. Within a chemistry major, students learn how to help solve problems affecting the world we live in. 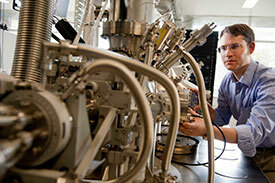 Chemistry graduates are involved with developing new drugs, new computing devices and better energy storage materials. Earth science is the study of the Earth and its neighbours in space. It is made up four basic areas: geology, meteorology, oceanography, and astronomy. We live in a time where graduates who have learned how to approach the challenges faced by the Earth and its inhabitants are in high demand. Your degree may focus on issues such as climate change, alternate energy sources, over-population and natural disasters, just some of the issues Earth scientists are dealing with. By studying ecology you will specialise in the scientific analysis and study of interactions between organisms and their environment. Your science degree will focus on understanding plant and animal populations and communities, as well as their ecosystems. Ecology students learn to research everything from tiny bacteria’s role in nutrient recycling to the effects of tropical rain forests on the Earth’s atmosphere. There are many practical applications of an ecology major in conservation biology, wetland management, natural resource management, city planning, community health, economics and human social interaction. Environmental engineering graduates learn to apply their knowledge of chemistry, geomechanics, hydrology and land surface processes to find solutions for complex environmental problems, such as water pollution and soil erosion. Your degree will prepare you to be responsible for developing sustainable engineering practices that have a profound impact on our health and quality of life. Studying in this major will show you how environmental engineers work with other specialists to optimise the use of resources and minimise long-term impacts on the environment. Exercise science explores the complex nature of human movement and how the body reacts to acute and chronic physical activity pursuits such as general fitness regimes, recreational activities and elite sports. With the increase of health problems due to lifestyle and inactivity and the high profile of elite sport, there is an increasing need for qualified specialists with an understanding of the relationship between exercise and health. Food science is the study of the physical, biological, and chemical makeup of food; and the concepts underlying food processing. Food science degrees draw from many disciplines such as biology, chemical engineering, and biochemistry to help students learn about food processes and ultimately improve food products for the general public. Your study will focus on the physical, microbiological, and chemical makeup of food. Food science graduates are responsible for developing safe, nutritious foods and innovative packaging that lines supermarket shelves everywhere. The Geography major focuses on the study of the environment of humans, and the complex ways humans and environments shape each other. Students aim to understand the processes that form cultural and physical environments, the geographical organisation of human practices and physical phenomena. Through their study of geography, graduates learn to analyse the interplay between human practices, environments and social political objectives. When you major in Marine science, you will explore the impacts of fishing, climate change, pollution and how to manage these resources given our reliance on the marine environment for food, recreation, transport and energy. Students will learn about the interaction between humans and marine ecosystems within the approximately 16.1 million square kilometres of coastal shallows and ocean floor for which Australia is responsible. This specialisation produces graduates prepared for a range of challenges including the conservation of resources, control of pollution and management of species in these areas. Medical research is conducted to aid and support the development of knowledge in the field of medicine. The study of medical research is heavily grounded in biology and can either focus on biomedical science or biotechnology. Biomedical science students learn about the human body, its structure and function in health and disease. Students who study biotechnology, however, will learn about the use of living organisms to modify products for a specific human purpose. Biotechnology plays a key role in the development of genetically modified crops or the creation of vaccines. Medical radiation science is a field that’s constantly evolving. Medical radiation science degrees create healthcare professionals who perform complex testing and treatment to help diagnose and solve medical issues. Students can study three main branches of this scientific field: diagnostic radiography, nuclear medicine and radiation therapy. Diagnostic radiography is an important first step to diagnosing, treating and managing injuries and disease. Nuclear medicine scientists conduct nuclear medicine scans of a person’s body using radioactive material called radioisotopes. Radiation therapy, also known as radiotherapy, uses sophisticated radiation technology to target and destroy cancer cells and shrink tumours – allowing cancer to be treated, managed and cured. Photonics students study the science of producing, manipulating and detecting light. You will learn how this field incorporates optical fibres and their use in modern communications technology, which is the only apparent solution for the growing societal demand for bandwidth. Photonics underpins technologies of daily life from smartphones, laptops and the Internet, to medical instruments and lighting technology. A major in photonics has led students to diverse career paths. Physics is one of the oldest natural sciences dedicated to the study of how the universe works. Majors in this branch of science are concerned with the nature and properties of matter and energy. Students will learn how physics explains the fundamental mechanisms of the other sciences, underpins the technologies that are the focus of engineering and opens up new areas of research. By studying psychology, students will learn about the science of human behaviour, the human brain and its effect on the way we act and why. Your psychology degree covers a broad range of areas such as memory, decision-making and developmental studies. As a psychology graduate, you can apply this field of study in a broad range of industry sectors, enabling you to choose the career path that’s right for you. The study of sustainable resource management is about learning how to strike a balance between protecting and using our environment. Achieving sustainability in the management of Australia’s natural resources is vital if we are to ensure the country’s ongoing social, economic and environmental well-being. A degree in sustainability and resource management will prepare graduates for diverse career opportunities. 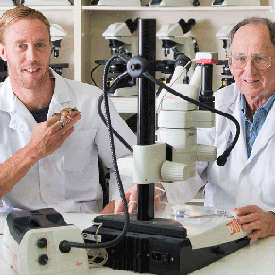 Our researchers have developed technology that can bring back extinct species such as the Gastric Brooding Frog, making TIME Magazine's Top 25 Best Inventions for 2013. What's it like to study a Bachelor of Development Studies? Lisa talks about her experience studying a Bachelor of Development Studies at the University of Newcastle. 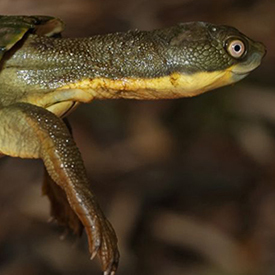 Do you dream of helping save threatened species? As a member of the NSW Scientific Committee, Dr Anita Chalmers helps determine which species will be listed as threatened in NSW. A breakthrough new microscope opening up a new window into the scientific world has been unveiled by a team at UON led by Professor Paul Dastoor.